Patty sat at her computer, admittedly a little tired. She had just gotten back after a week’s vacation in Colonial Williamsburg with Rob and their two sons. Even though the boys were only five years old, she had insisted that they go to the historical triangle and get the two young lads started on American history. She and Rob had been speaking Mandarin and Spanish at home and the boys were both trilingual, so visiting Williamsburg was among other things Patty had planned to prepare them for a rewarding and productive life. OK, maybe she was an overachiever for her sons, but she remembered the profound impact that visiting this historic treasure had on her when she was a young girl. 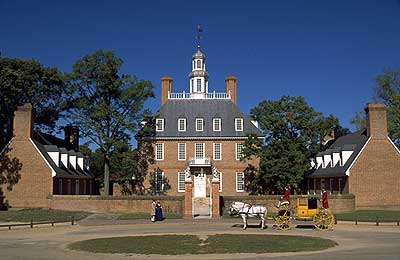 During this visit, the young family alternated days at Colonial Williamsburg, Busch Gardens and Water Country USA. They also ate dinner at two of the historic eateries. Of course, at their young age, her boys enjoyed Busch Gardens and Water Country the most. She had to admit that the trip left her a little shaken. She saw scores of youngsters mesmerized with their smartphones or tablets while standing in line for a ride at Busch Gardens. More troubling was watching teens texting in Colonial Williamsburg while a character interpreter explained the making of a flintlock rifle or the impact of the Royal Marines taking the gunpowder from the Williamsburg magazine, early in the Revolutionary War. Patty clearly recognized the profound benefit of electronics, after all, it was her career! However, she was troubled by its overuse, replacing personal human interaction and intellectual pursuits and its luring many children away from playing. She was stunned to go to the park where she grew up, a few weeks ago, and finding no children on the swing sets, slides or monkey bars. More troubling, was a recent chat she had with the Professor. He told her he was convinced that the likelihood of a high school student getting into an elite university was inversely proportional to the number of text messages they send each day. He pointed out that according to Sherry Turkle in her seminal book, Alone Together, the typical US teen sends 200 texts a day. He went on to explain that if a teen sends that many texts a day, how can they have time to be studying Milton or the rise and fall of Rome, learning calculus, or becoming proficient in any topic needed to get into a competitive college or university? To make the point that better students don’t send many texts a day, The Professor even surveyed his statistics class at Ivy University and found that on average the students there sent only about 20 texts a day. With all of these conflicting thoughts swirling in her mind, she was startled by Pete coming to the door. “Nous allons à Québec!” Pete shouted. Patty had to shake her head a little bit to get the cobwebs out. “Hey kiddo, you look a little tired. Too much vacation?” Pete teased. “Yeah, we didn’t get home 'til 11:30PM last night. Anyway, what’s up?” Patty responded. “Well, while you were away, our beloved senior management decided they might want to buy a company in Quebec, near Sherbrooke,” Pete answered. “Why will we be going to Quebec if we haven’t bought the company yet?” Patty asked. “The company has 99.5% first pass yield, but their financials are not that great, especially return on assets,” Pete replied. “Looks like maybe their uptime or line balancing may be bad,” Patty commented. “Their throughput, would suggest otherwise, for the three lines they have,” Pete said. “Oh, one more thing. They probably need to be using solder preforms on QFNs in some smartphones. They have a voiding warranty issue.” Pete added. How can a company have outstanding yield and good throughput and still not be profitable? What about solder preforms? Stay tuned to find out.